PRICE REDUCED! 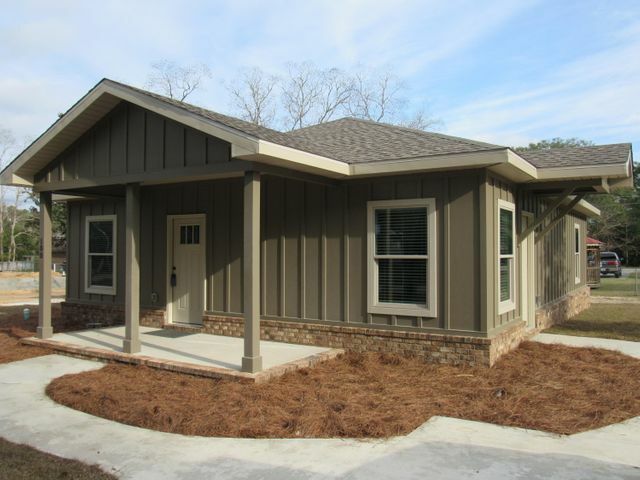 Spacious 4 Bedroom 2 Bath NEW home in Defuniak Spgs! This energy efficient home has top notch quality construction including Hardie board/brick veneer siding, vinyl windows, 5/8in insulated roof decking, R-13 exterior wall insulation, extra insulated (sound proof) baths and laundry room, custom closet built-ins, dimensional shingles, LED lighting, LOTS of recessed lighting, luxury water proof laminate flooring, upgraded trim, Quartz counter tops, All New Appliances (including Refrigerator) Garbage disposal and Window Blinds! This is the highest quality constructed new home on the market! Don't miss out on this one! Call for your tour today!